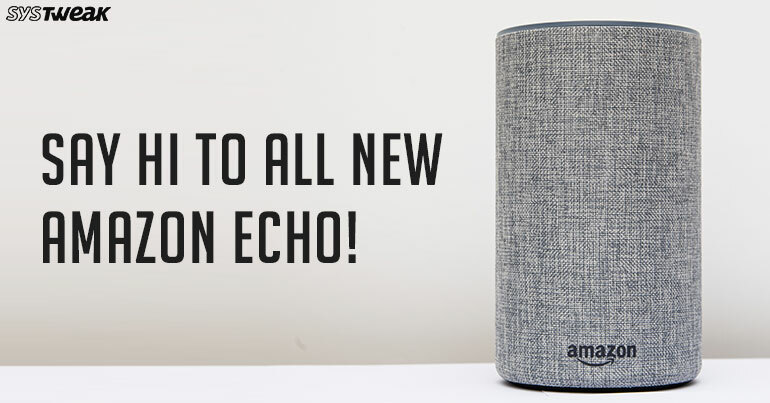 While the smart still stays the same, the new Amazon Echo has been rolled out with a bunch of useful features to take over control. Get your daily briefing, play your audio books, control your Smart home lights, and all of this with a price that’s just too compelling to resist. Not to forget, the cherry on the cake, Alexa’s friendly voice, which makes using Echo an overall wonderful experience. Well, big thanks to Amazon that it has been consistently trying to improve this little gadget and make it smarter. So, this festive season if you’re looking to give yourself a tech-treat then don’t miss this at any cost! The Amazon Echo (2nd Generation) is a breeze to set up but it does mean that you have to venture into the Amazon Alexa app. The new Amazon Echo comes with a whole different look and is power packed with a bunch of useful features. Here are a few things that’ll help you to get started with this new gadget. Flash Briefing got to be the first thing to get started with new Amazon Echo. It allows you to get hold of those events and information which you care about. Once you subscribe to your favorite channels you will be instantly notified by news and sources. From weather updates of any specific location, last night’s baseball match score and this is just the tip of an iceberg. To set up Flash briefing on your Amazon Echo launch the Alexa app then go to Settings > Flash Briefing. Here you can toggle sources on or off, remove sources and find new sources, which range from CNET, Reddit posts, Word of the day, Recipe tips etc. Once you’re done customizing the settings, then simply say “Alexa, what’s in the news” or say “Alexa play my Flash Briefing” to get your regular updates of the day. If you’re already an existing Amazon Echo user then you must be quite aware about setting up voice profiles for more personalized results. To set up a new voice profile on Amazon Echo, go to Settings > Accounts > Your Voice. Tap Begin and select the nearest Alexa speaker. Follow the on-screen prompts and read the 10 phrases aloud to make Alexa familiar with your voice. Once you’re done setting up the voice profile, give Alexa 10-15 minutes to learn your voice and then ask her “Alexa, who am I?” to check whether she knows your voice or not. You’ll be amazed with the results! 3. Alexa, What Did You Say? Whether you’re a beginner or an expert there’s a huge possibility that you might not catch what Alexa just said. So, if you want to repeat the last sentence by Alexa, all you have to say is “Alexa, what did you say”. Alexa allows you to play music from a handful of sources including Spotify, iHeartRadio, Pandora, Tune IN and more. So, if you don’t want to keep specifying the service name each time you wish to play a tune then here’s what you can do instead. To set a default music service on your Amazon Echo go to Settings > Music & Media > Choose default music service. Once you change the default, you will no longer have to specify where you want music to play from which is super convenient! So folks here were a few things to get started with Amazon Echo (2nd Generation). The countdown for New Year has begun and markets are flooded with attractive discounts and offers. What are you waiting for? Get your Amazon Echo today!